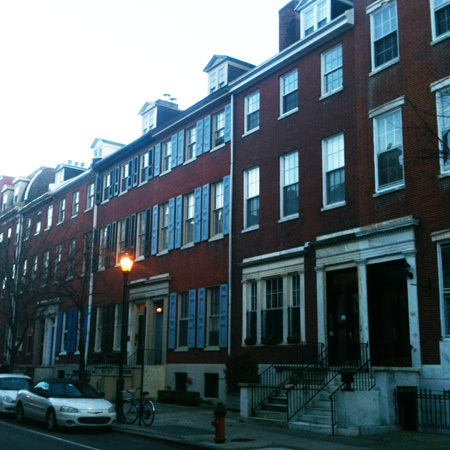 I’m constantly taking photos of row houses, many of which do not make it into proper articles. 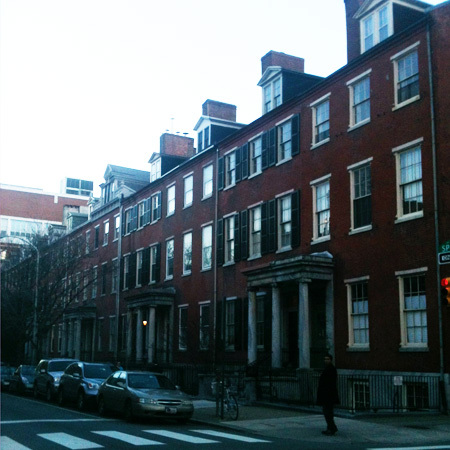 Below are row houses in the Greek Revival style. Homes like this were built during much of the early through mid-19th Century in just about every major city in the Eastern U.S.. This style was also very popular in London. For more information about the Greek Revival architectural style, read our Guide to Greek Revival Row House Architecture post. 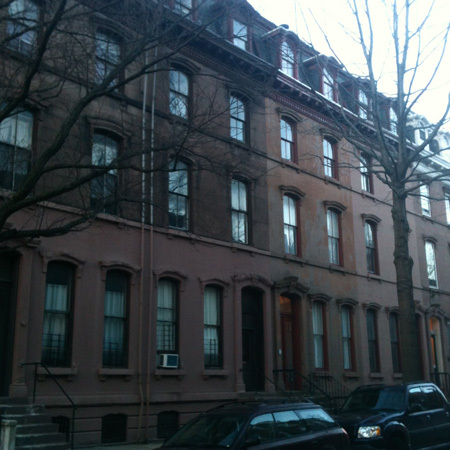 When looking at historic row homes, many times you see a crossover of styles with elements from more than one style. These have Federal elements and the third photo has Second Empire elements.